Happy Thanksgiving!!!!. 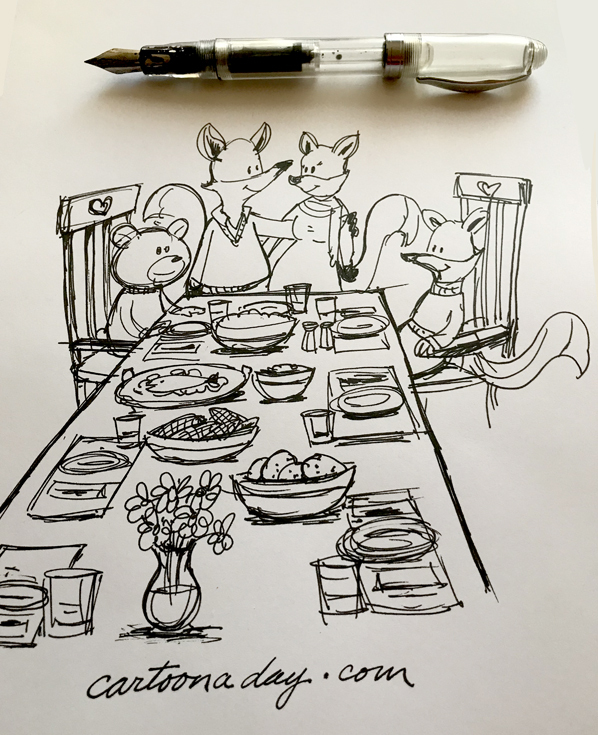 It’s thanksgiving today and while I’ve put my brine soaked bird now in the over I doodle my fox family with brother bear straight in pen preparing to eat a Thanksgiving feast. The pen seen is a demonstration model: Noodler’s Ahab flex nib fountain pen.